(Massachusetts, U.S., 1947). American writer noted for her idiosyncratic and extremely short stories often characterized by vivid observations of mostly mundane and routine occurrences. She published several story collections such as The Thirteenth Woman, and Other Stories (1976), Break It Down (1986) —that she was a finalist for the 1987 PEN/Hemingway Award—, The Collected Stories (2009) —a compilation of stories written over 30 years— and Can’t and Won’t (2014). In addition to stories, she published a novel, The End of the Story (1995). 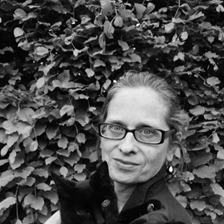 Davis was named a Chevalier of the Order of Arts and Letters by the French government for her fiction and translations (1999), received a MacArthur Foundation fellowship (2003), and won an American Academy of Arts and Letters Award of Merit medal and the Man Booker International Prize (both 2013).